Yanawana Herbolarios offers accessible healthcare, educational programming, and post-disaster relief to the communities that partner with us in the form of integrative clinics, wellness and sustainability workshops, and post-disaster healthcare. 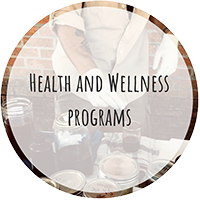 Our free mobile integrative botanical healthcare clinics incorporate alternative healing modalities such as clinical herbalism, massage therapy, and nutrition. During their visit, clients will be seen by a Lead Clinician who will formulate a wellness plan with them. Depending on the client’s needs a wellness plan may include one or more of the following: referral to higher definitive care, bodywork services, nutritional counseling, and/or allopathic or alternative services; custom botanical medicine formulas to address the issue(s); lifestyle recommendations, and client education. 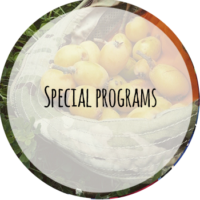 Yanawana Herbolarios presents workshops on a variety of topics including gardening and permaculture, nutrition and food preservation, botany and wildcrafting, botanical medicine making, and survival skills. 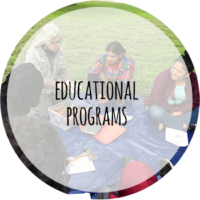 We partner with other community organizations to bring these educational opportunities to the community. It is our goal to help the communities we serve re-establish communication and relationship with the land in ways that will provide community sustainability and health. Every day people in communities like yours are in need of healthy food, adequate healthcare, and are overwhelmed by the urban sprawl. You can help Yanawana Herbolarios meet these needs by donating today.